The World Champion Houston Astros announced their 2018 Spring Training non-roster invites, on Wednesday, January 25th and former Clarion Area standout Jon Kemmer is on the roster. This is the third consecutive year that the 6’2″ – 230lb outfielder has been invited to the Astros’ camp. Jon is part of a contingent of five outfielders, who along with eight pitchers, three catchers and three infielders form the group of non-roster invites. The Astros’ overall Spring Training roster totals fifty-eight players, including thirty-nine players on the Astros forty man roster. The first official Spring Training workout for Astros pitchers and catchers is scheduled for Feb. 14, and the first full squad workout is scheduled for Feb. 19. Jon, who throws and bats left, has advanced steadily, starting out in 2013 in Single A-short season (Tri-Citiy Valley Cats) and moving up to full season Single A(Quad Cities River Bandits) to start the 2014 season. He moved up to Single A-advanced (Lancaster JetHawks) during that season. 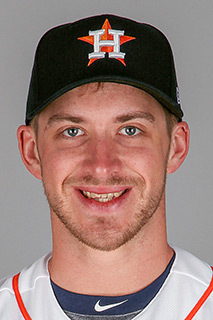 In 2015, Jon played Double-A (Corpus Christi Hooks) Jon played for the Astros’ Triple A affiliate, Fresno Grizzlies the past two seasons. Jon put up some very impressive numbers in 2017. He hit .299, going 91-for-304 with 16 home runs, 17 doubles and three triples. Jon drove in 57 runs and had an on-base percentage of .932. The Astros pitchers and catchers will begin Spring Training on Wednesday, February 14th. The first full squad practice will be Monday, February 19th. The Astros open the Grapefruit League schedule, with three of the first four games at home, at Ballpark of the Palm Beaches, in West Palm Beach, Florida. They open on Friday, February 23rd hosting the Washington Nationals, then host the Braves on Saturday, February 24th. They visit the Cardinals on Sunday, February 25th and then return home against the Mets on Monday, February 26th. All those games have a 1:05PM start.